I would like to see all members bus pictures HERE! 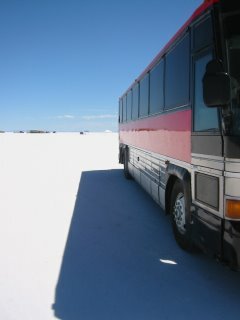 I think it would be nice to have one place for member's busses! Folks, only BUS pictures. limit 4, and a brief message about your bus. Thank You! If you have any questions on how to post pics, please view the numerous threads on the subject POSTING PICTURES! hub king covers, 24'x10' A&E lat arm automatic awning. 3 Roof tops with heat (getting ready to be painted blue). 1986 TMC 102A3,6V92,Auto 740,conversion in progress. Wow, those are some beautiful buses. I kind of hesitate to post a picture of my Plane Jane Eagle. As most of you know, I have spent a lot of time on the mechanicals and getting the systems working. Now I will spend some time working on the exterior. Not smart enough to post Tried again, Hope Dallas dont think it's his 'cause his names on it! Length: 40, width 8, Height 12’6” to top of air conditioners. Outside colors: urethane white base coat, maroon, blue, and gray accent stripes, with clear coat . Roof is covered with Kool Seal. Custom hinged counter top over stove (Home Depot).